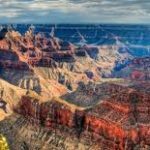 You will be picked up at your hotel for this full day adventure and ride through beautiful Oak Creek Canyon (with Sedona departure), Flagstaff and to Page Arizona near beautiful Lake Powell. 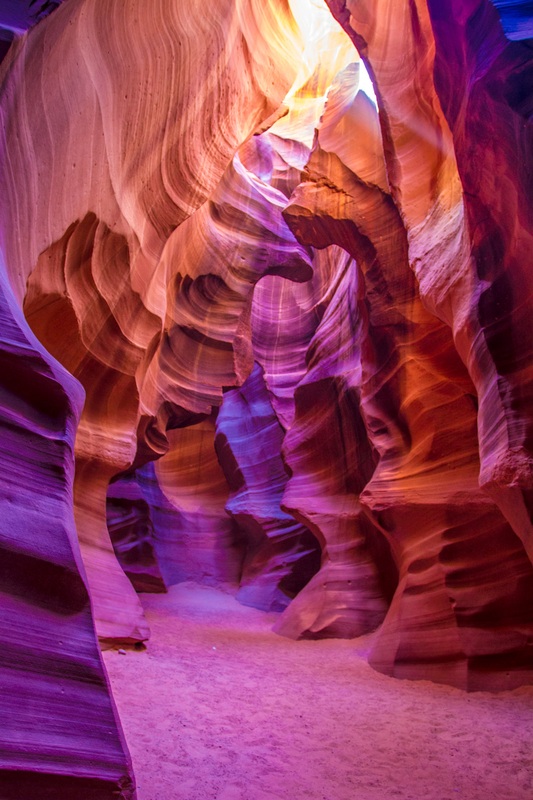 Antelope Canyon is possibly the most-photographed of northern Arizona’s sandstone slot canyons. 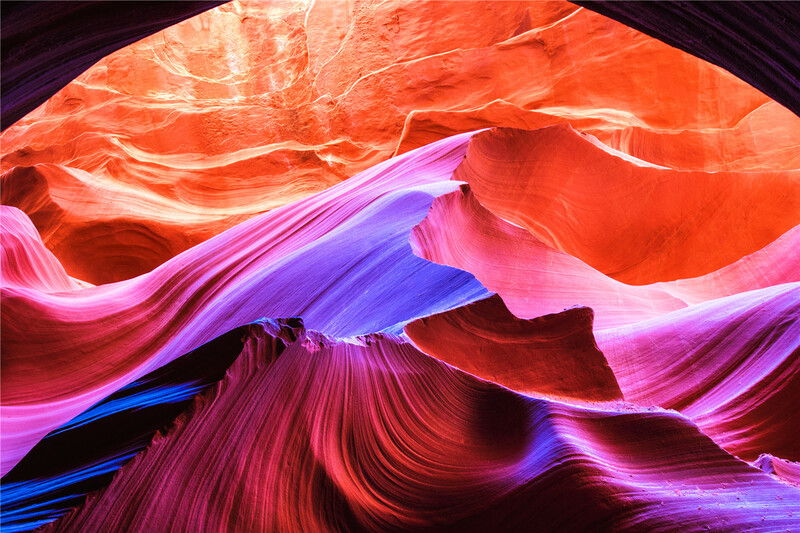 The glowing orange and purple colors of the wind and water carved, narrow fissures in Antelope Canyon feature in many beautiful images. Lunch is included in the tour. Some hiking is required. There are three parts to Antelope Canyon: Upper, Lower and Canyon X. We do not go to Upper Antelope Canyon due to the amount of popularity it has gathered in the recent years. We do go to lower Antelope Canyon and Canyon X. Please see below for restrictions and warnings before booking this tour. 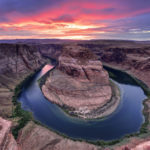 This includes a hike to Horseshoe Bend which is an iconic photo of the canyon and the Colorado River. There are steel ladders anchored into the canyon walls. The ladders vary from 3 ft. to 25 ft. being the longest. Ladders over 8 ft. have handrails in place. The canyon is easily accessible going in and out. There are escape rope ladders placed on top of the canyon, in metal boxes, for any type of emergencies. 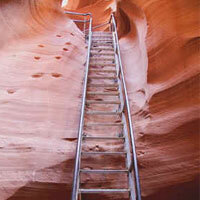 The canyon trail is a bit rigorous and long, with low hanging rocks, narrow passageways, and narrow and steep ladders. 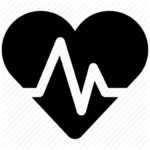 It is recommended that if you get short-winded (we are above 4,000 elevation, so please be advised for shortness of breath for those that live at sea-level), have knee or hip joint problems or heart problems to please get advise your physician before trying to hike the canyon.